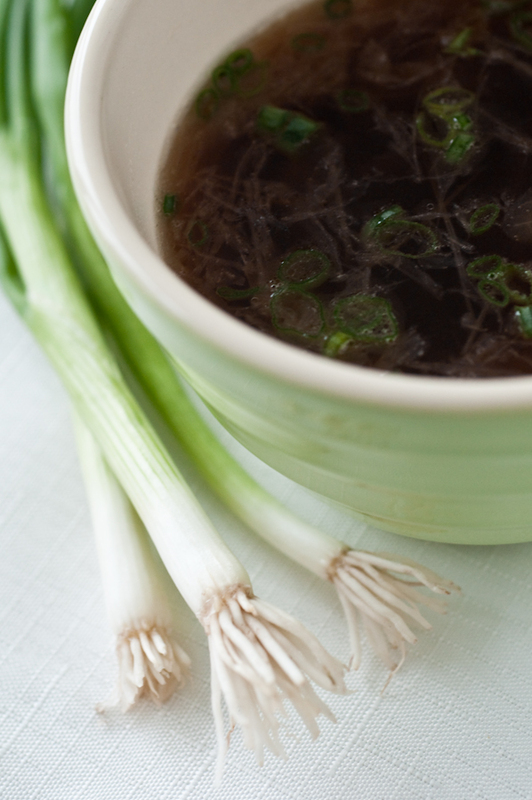 Spring onions are a great garnish for this French onion soup, or as we like to call it, Faux Onion Soup, because it’s a simpler, non-baked version of the original. The recipe begins with caramelizing onions. This recipe from Everyday Food Magazine is superb. The recipe can be halved and the caramelized onions freeze well, so caramelized onions are a great make-ahead element that can be added to homemade pizza and soups like this one from Everyday Food. Heat broiler. 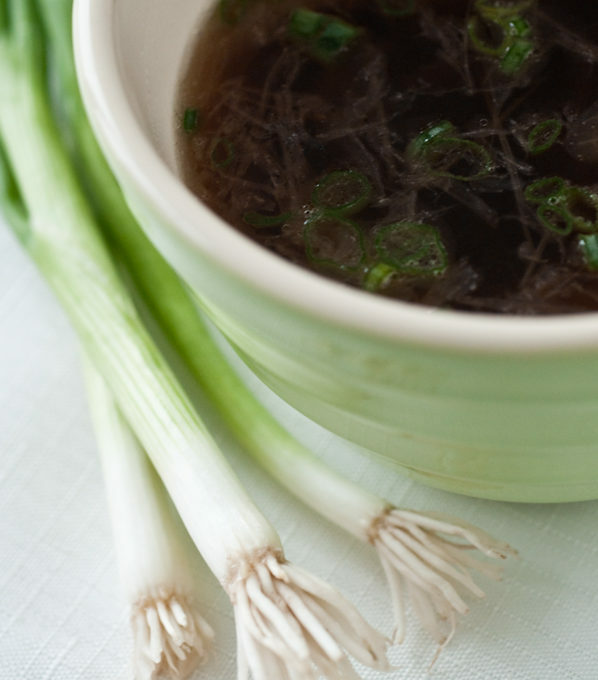 Bring 6 cups low-sodium beef broth (or a combination of broth and water) and 1 cup caramelized onions to a simmer over medium; season with coarse salt and ground pepper. Top thick-sliced country bread with grated Gruyere cheese and season with pepper; broil until toasted. Serve soup with cheese toasts. Totally easy, delicious and ready to be frozen in 1-cup portions. Another excellent advantage to caramelized onions is that they offer a naturally sweet flavor without any additions. And while onions don’t quite get the “good for you” reputation like their some other veggies – broccoli or spinach for example – they are a good source of fiber, Vitamin C, and chromium (a trace mineral important for metabolism). How Stacey Got the Shot: With the 60mm macro lens at f/5, 1/40 second exposure and a new lighting setup.